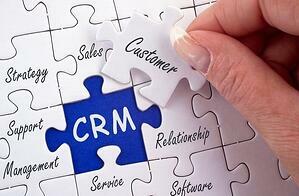 Why is CRM So Hard? Sales Enablement is all the rage these days. The concept of getting more traction in sales and more alignment between sales and marketing is certainly not new. However, the spotlight on finally eliminating the barriers between sales and marketing is getting more attention than I’ve ever seen in 35 years of b-to-b marketing. 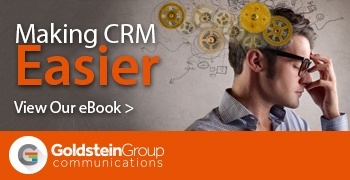 Making CRM Easier: A new eBook from Goldstein Group. CRM can be a powerful ally for senior managers or another frustrating software tool that fails to live up to its promises. We recently interviewed a wide variety of CEOs and marketing/sales VPs to uncover, after three decades in the field, what prevents CRM from being used – and how to eliminate those barriers. 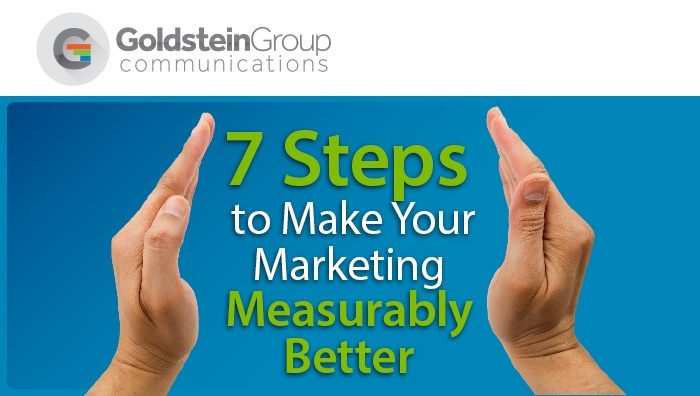 Not so long ago a company could send a newsletter and have an 80% open rate, or post on social media and have copious amounts of impressions and clicks. Of course with today’s rapidly evolving online world, the phrase “not so long ago” refers to 6 months ago. Ok, ok - maybe not 6 months ago per se. The fact is that it is continually harder for a company to get its message out to who it’s trying to reach. A good Marketing professional knows what content generates a response, and what generates clicks.